SOHO-segment routers with Gb LAN and even WAN interfaces are no longer a wonder. 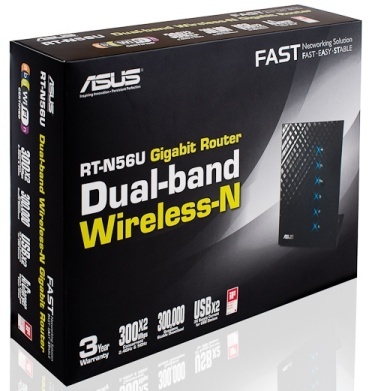 That’s why when an ASUS RT-N56U wireless router appeared in our lab, we first regarded it as another device for home of small office use where the vendor’s use of Gigabit Ethernet interfaces was only a tribute to fashion. However, RT-N56U specifications and abilities were quite intriguing: the box boasted hardware NAT implementation and it was claimed that the router could simultaneously work in two wireless ranges – 2.4 and 5 GHz. They also claim to have optimized the coverage of the wireless network segment due to intelligent settings of the antenna parameters. However, first things first. 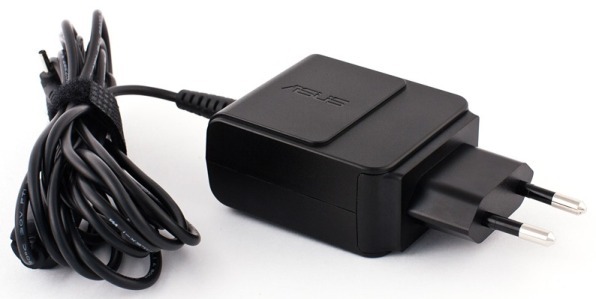 For its work RT-N56U requires 1.58 A AC at 19 V voltage provided by an external power adapter of a shape not typical for Asus. On it there’s a light voltage indicator and the thing itself has become more handy as it now requires less space in the surge suppressor or in the wall-mounted socket block. 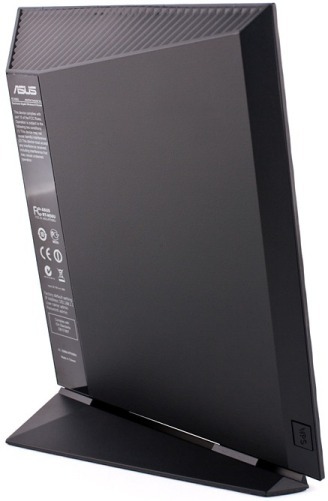 Like any telecom equipment we recommend to connect Asus RT-N56U to a UPS to avoid the negative influence of power supply irregularities on the equipment functionality; this is particularly important for Russia and the CIS. The router itself is performed in a plastic case intended for desktop installation. Mounting on a rack without special shelves is not intended. The RT-N56U case is different from a traditional parallelepiped. The device dimensions with the stand (H*W*D) are 172*145*60 mm and its mass is 330 gr. 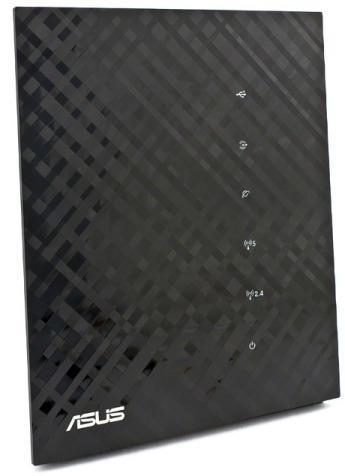 The router’s front panel is covered with glossy ribbed plastic and besides the vendor’s name it displays six light indicators of the device status: power supply, the UPS state at 2.4 or 5 GHz, local and global network connections and presence of USB devices. 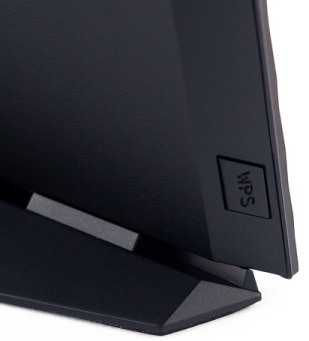 It seems that it was for this multifaceted shiny surface that ASUS RT-N56U was also called Black Diamond. We should say that such front panel is not unique for ASUS equipment. An external DVD-drive SDRW-08D2S-U boasts the same surface. Unfortunately, the front surface plastic isn’t scratch-resistant, which can slightly damage the device appearance. The back panel is rather ordinary. Here you’ll only find a sticker with information about the device. On the narrower side there’s a WPS button for simplified connection of wireless clients. The wider side has five Gigabit Ethernet interfaces (four LAN and one WAN), a power slot, two USB 2.0 ports and a Reset button for resetting configurations to defaults. Light indication of the work of each of the network interfaces is placed next to the port itself and is not visible on the front panel. The shape of the case hides the ports from the user, however, cords originating from these ports stick out. We thought it could be better if the cords went to the back. RT-N56U’s top and bottom surfaces are actually ventilation grates. The stand is attached to special holes on the router’s bottom panel. The way it got fixed seemed a bit flimsy. Now let’s look inside the case. 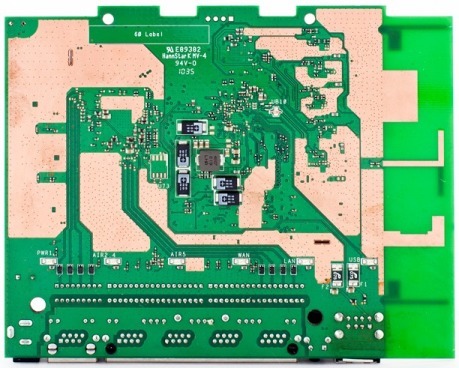 Here we’re unable to say anything at all: all electronics is covered with a big screen occupying most part of the board. Information about the CPU can be retrieved only indirectly from the /proc/cpuinfo file which claims that ASUS RT-N56U is built on a Ralink SoC MIPS 74K V4.12 (249.34 BogoMIPS) processor more information about which is presented in the section devoted to the command line interface review. The system employs 128 Mbytes of RAM (/proc/meminfo). In the box, together with the router you’ll find a 1.5 m patch-cord. We wouldn’t have even noticed it had it not been flat! Naturally, we couldn’t help testing it against standards. However, it passed all tests whose results we present to the reader. Now let’s study the device software filling. Firmware upgrade is performed from the Administration – Firmware upgrade tab, where one only has to specify the new firmware image file and to click Upload. The whole upgrade process takes about three minutes. A surge arrest during the firmware upgrade process can result in the device firmware inoperability. Then the router gets into the rescue mode. In this case you’ll need the firmware restoration procedure. ASUS RT-N56U can be artificially driven into the rescue mode by pressing the Reset button while the device is turning on until the power indicator starts flashing slowly. This way or the other, the Firmware Restoration utility allows detecting ASUS wireless routers in the rescue mode and uploading new firmware on them. Now you only have to wait for RT-N56U to boot. 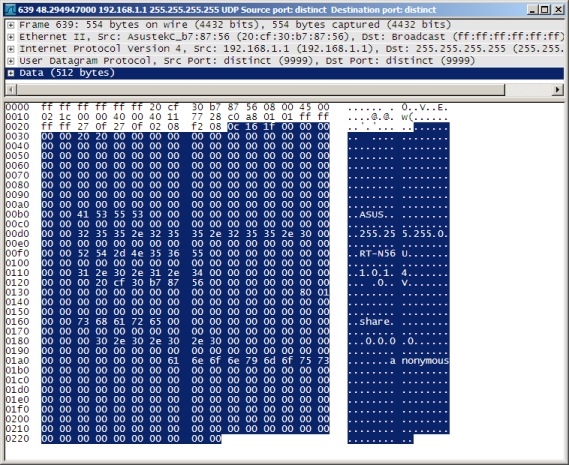 Naturally, we couldn’t help spying (with the help of Wireshark) on the Firmware Restoration utility work. Malfunctioning devices are searched for through a broadcast request to read a file via TFTP. Then the utility uploads the firmware file via TFTP on the device that responded. Here we could finish the section had it not been for a new feature of installing additional user software that appeared in latest firmware versions. For such installation you’ll need a flash-drive or a USB external hard-drive containing partitions with the EXT3 file system. Unfortunately, NTFS or FAT32 won’t do as all symlinks will disappear after reboot. In Windows such disc can be prepared with the help of Acronis DiskDirector. In operating systems other than Windows different utilities can be used: gparted, fdisk, cfdisk, mkfs and so on. It’s also worth saying that not all firmware branches support this ability. We used the latest versions 7.x.x.x with built-in optware support. As we’re not the kind of people to choose a soft option, we decided than the partitions will be formatted in EXT3 by the router itself. We created an NTFS partition on a USB-drive and connected it to RT-N56U. Those who are quite happy with how DiskDirector or gparted work can now skip several paragraphs. Further actions require access via Telnet whose enabling is described in the section devoted to the command line. Let’s make sure that the external drive is connected alright and is visible in the system. First, we create a temporary catalogue /tmp/test/opt and mount it into /opt; then we create the /opt/tmp/ipkg catalogue. Also with the help of the ipkg.sh script you have to install ipkg-opt. The whole process is presented below. Let’s install e2tools for formatting the partition in EXT3. Now it’s necessary to unmount the connected disc and format it; however, the disc is already busy. In our case the resource was being used by the minidlna and mt-daapd processes that must be killed before unmounting. If for some reason the disc can’t be unmounted, you can use lsof which will determine which particular processes are employing files on the external drive. After some time, the killed processes might be restarted, so a search for open files can be useful, anyway. Now let’s finally format the partition after which we’ll have to change its ID. The only thing left is to mount the partition. This can be done manually with the mount /dev/sda1 /media/AiDisk_a1/ command or by rebooting the router, then the external drive will be connected automatically. Let’s do some preparatory works on the EXT3 partition. With the help of the built-in vi editor let’s create post-mount.sh and pre-unmount.sh files in the /opt catalogue. For this we’ll need the vi post-mount.sh and vi pre-unmount.sh commands. The I command is used for entering the input mode, :w – for saving, :q – for exit. Basically, the same result can be obtained by creating text files on the managing host and then copying them to the \\192.168.1.1\AiDisk_a1\opt catalogue via SMB or FTP. The created files must be made executable with the help of the chmod command. 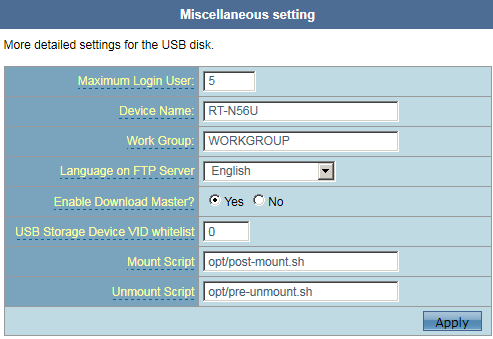 Now there’s only one little preparatory thing to complete – make RT-N56U use the created scripts in mounting and unmounting the drive; for this you’ll have to turn to the Advanced Settings tab of the USB Application menu. Now all primary work is complete; finally we can start installing necessary extension modules. We chose dropbear that provides access to the router via the SSH protocol which we installed and started. We made a successful test connection to RT-N56U via the SSH protocol with the help of the PuTTY utility version 0.6. As SSH access to the router is required even after rebooting the device, let’s configure automatic dropbear start at mounting a partition on an external drive. For this, in vi we’ll create an autostart.sh file in the /opt/etc/init.d catalogue where we’ll specify all necessary utilities for autostart and make it executable. That’s it. Other extensions can be installed in a similar fashion. 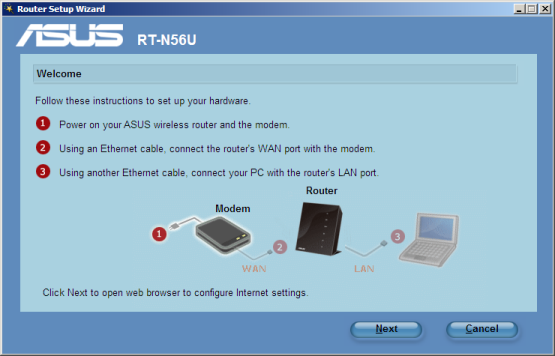 The ASUS RT-N56U router’s web-interface is typical to this company’s wireless network equipment. We’ve already described it for RT-N15 and RT-N16. That’s why we’re not going to study all its features but will only look at the most interesting of them. For example, on the homepage in the section devoted to wireless settings there’re two independent sub-sections for wireless modules working at different frequency ranges: 2.4 GHz and 5 GHz. Here we’d like to mention the ability to use the AiRadar function for 5GHz frequencies which allows optimizing wireless transmission by focusing transmitted energy on specific sectors, i.e. RT-N56U doesn’t radiate evenly in all directions but only in those where there’re 5Ghz clients. The web-interface is available in fifteen languages: Chinese, Czech, German, English, French, Malaysian, Danish, Swedish, Portuguese, Polish, Russian, Tai, Finnish, Turkish and Norwegian. 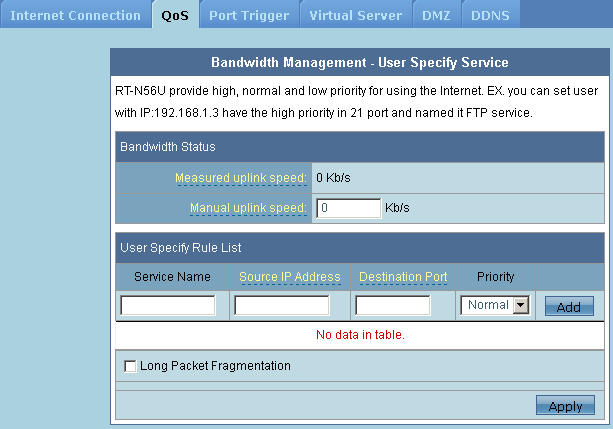 Before studying the Advanced Setting section we’d like to stop at the EzQoS Bandwidth Management item containing two tabs: EZQoS and Traffic Monitor. 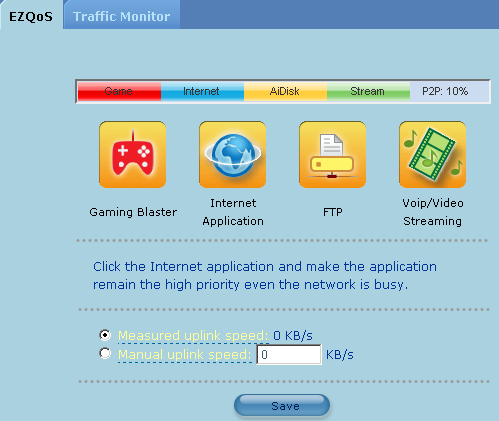 On the EZQoS page the user can choose preferable traffic streams in exchanging traffic with the global net. If at least one preferred traffic type is chosen p2p application are left with 10% of the channel width determined automatically or manually. 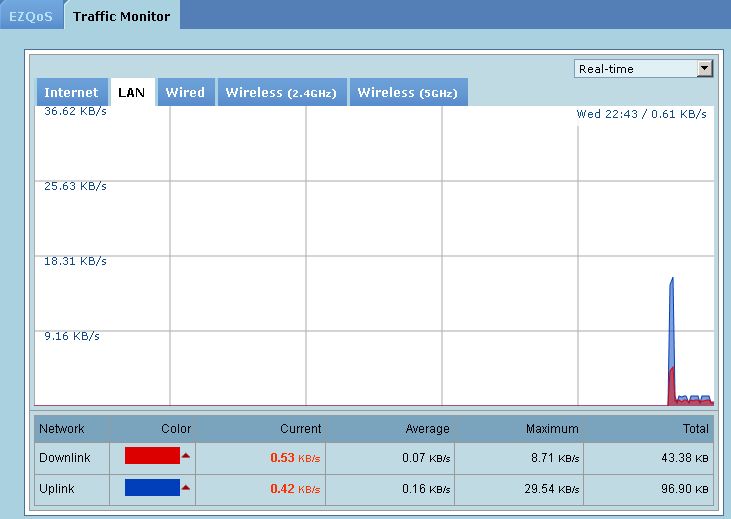 On the Traffic Monitor tab the user can obtain a graph of the internet channel load, of the local, wire and wireless interfaces. The load data can be obtained on the fly, or over the last 24 hours or as a daily log of the last 30 days. We consider this new ability handy, moreover, in some alternative firmware versions this ability has been present for quite a while. Now let’s turn to the Advanced Setting section containing the following points: Wireless, LAN, WAN, USB application, Firewall, Administration and System Log. 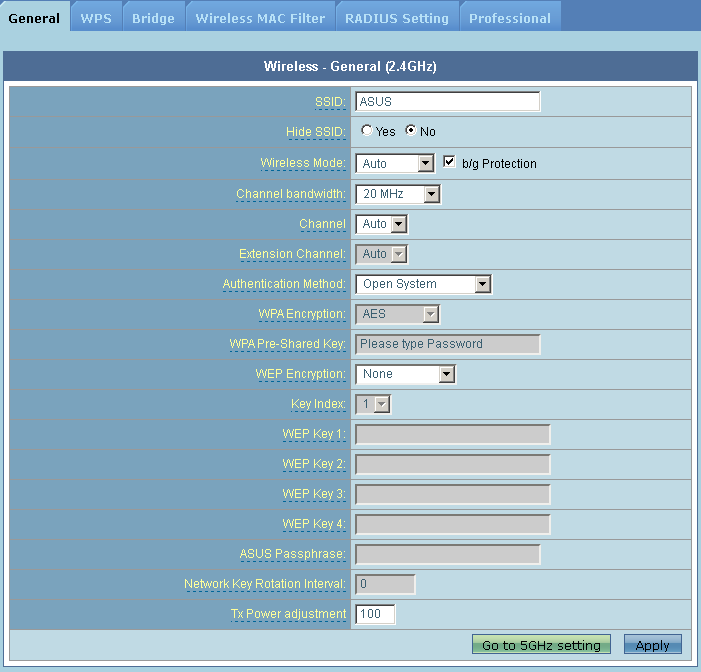 All tabs of the Wireless group allow configuring independent wireless network parameters for 2.4 and 5 GHz frequencies. The LAN group tabs are rather featureless, besides the multicast routing configuration. Black Diamond can perform the IGMP proxy functions and supports UDP-to-HTTP broadcasting that allows watching IPTV on the devices connected via the wireless channel. 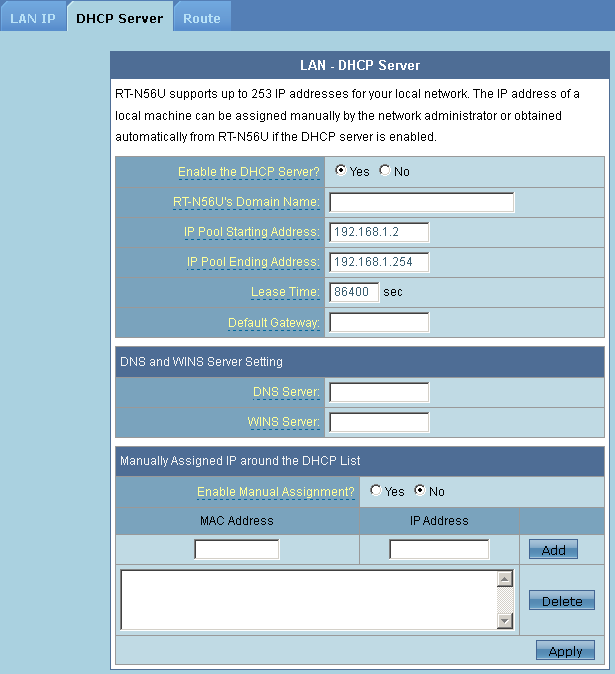 It’s possible to specify a gateway address for the clients of a DHCP-server, which is necessary for the cases when RT-N56U broadcasts network settings but is not a default gateway. 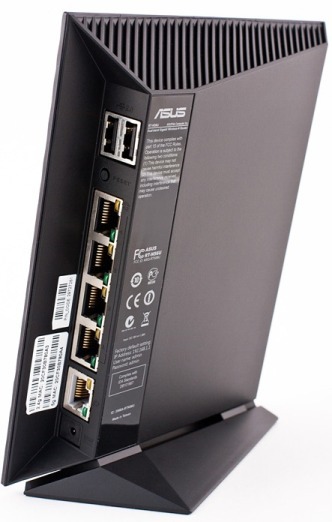 ASUS RT-N56U allows connecting to providers with the help of static and dynamic addresses, PPPoE, L2TP and PPTP. 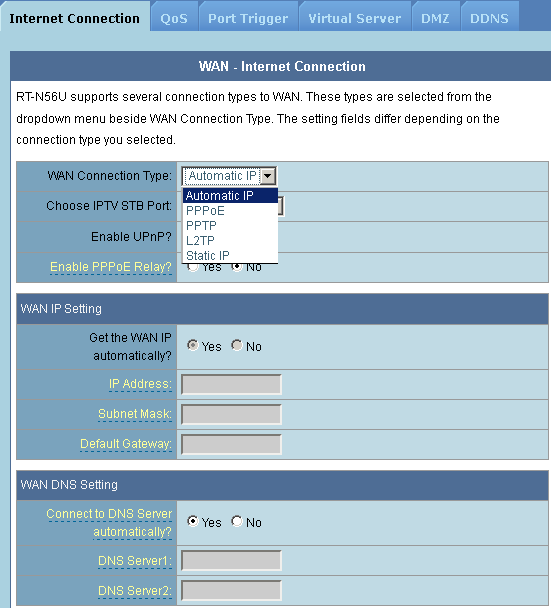 The given settings are configured on the Internet Connection tab of the WAN group. 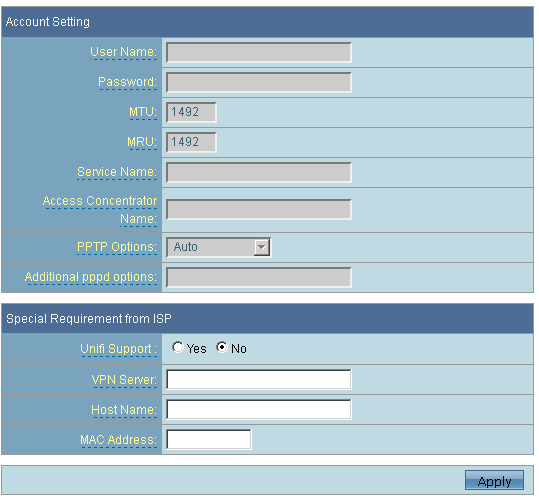 Also, we’d like to draw your attention to the Choose IPTV STB Port parameter that allows specifying one or two LAN-interfaces to which a Set Top Box is connected. Such configuration is necessary for those providers who provide IPTV and use separate designated devices. The QoS tab allows performing finer configuration of the quality of service than the simplified EZQoS system discussed above. 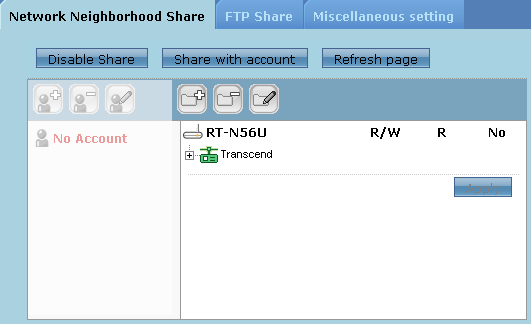 The parameters of Network Neighborhood Share and FTP Share on the router are configured on the respective tabs of the USB Application group. Unfortunately, when the article was being written, ASUS RT-N56U didn’t support Russian in the file names on the built-in FTP-server. 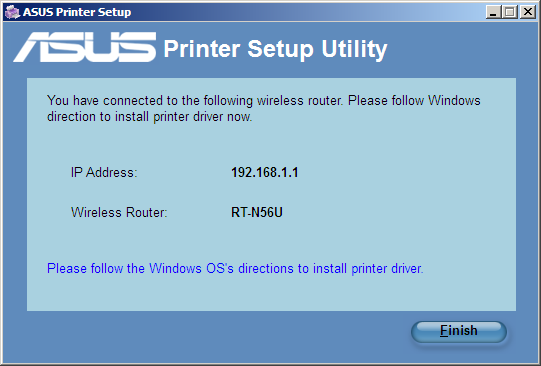 Until now ASUS RT-N56U supported USB connections for printers and external drives only. However, new firmware version 1.0.1.7c provides an opportunity of connecting USB-modems for working in 3G and WiMAX (Yota) networks. 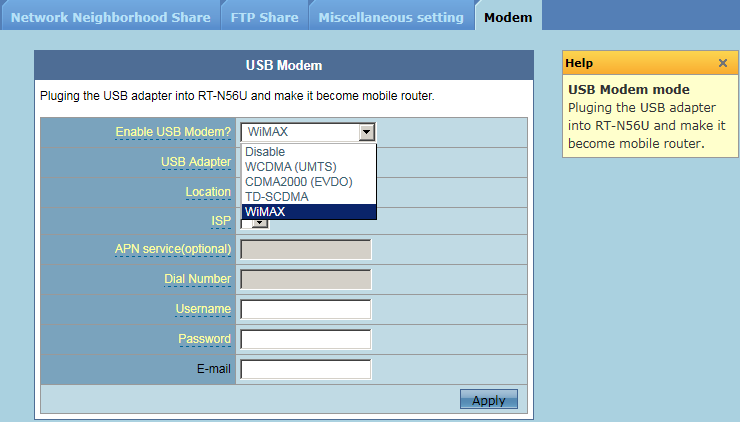 Such connection is configured in the Modem item of the USB Application group. 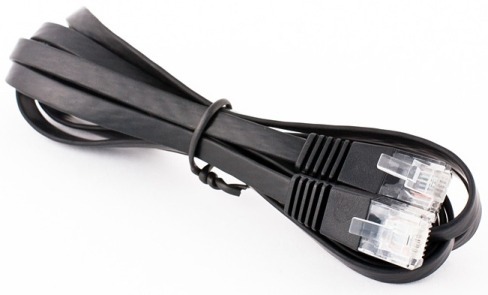 The presence of a backup connection will allow you to stay online in case of any problems with the wired provider. 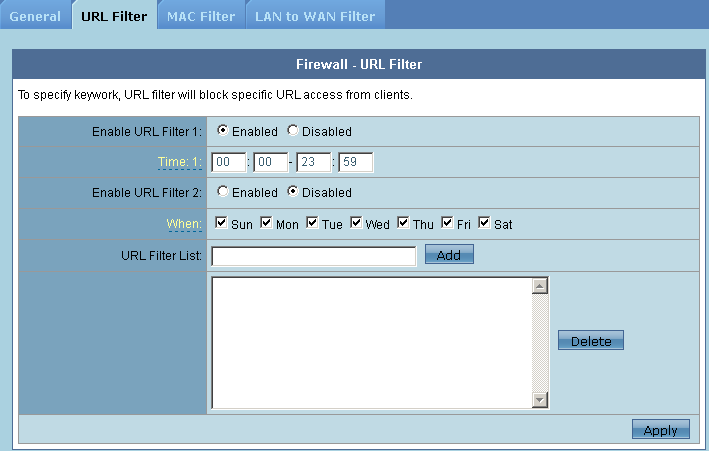 The URL Filter tab of the Firewall group allows filtering content the user receives based on URLs. RT-N56U allows setting up to two time intervals for the filter work. 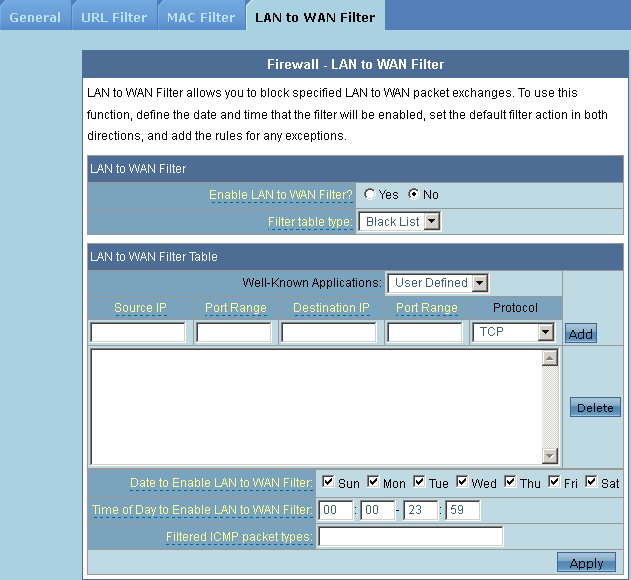 On the LAN to WAN Filter tab of the Firewall group one can manage permissions for access to the global net from the local one. Besides permitting/prohibiting access via TCP and UDP, the administrator can specify the types of ICMP messages allowed to be transmitted and to state the time when the filter works. Certainly, time on the router must be synchronized. ASUS RT-N56U wireless router can operate in one of three modes: IP Sharing mode (Default), Wireless Router/IP Sharing mode and Access Point (AP) mode. In ASUS earlier wireless network devices the IP Sharing mode was called Home Gateway. The mode of work is chosen on the Operation Mode tab of the Administration group. The features the tabs of the System Log group aren’t different from what we saw earlier in ASUS RT-N15 and RT-N16 wireless routers. That’s why we’re not going to stop at them and will move on to the command line interface. 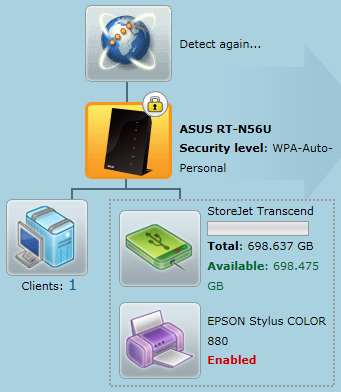 ASUS utility set allows us to search for wireless routers in the net, to restore firmware, to manage downloads, to connect wireless clients or a printer in a simplified mode as well as to help the user in connecting to a specific provider. 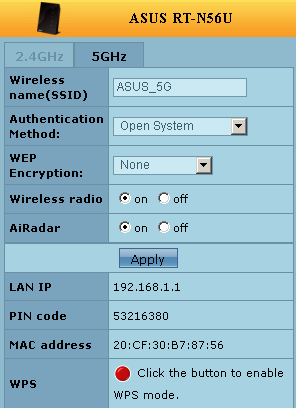 The Device Discovery utility searches for ASUS wireless equipment in the local network by broadcasting a UDP-datagram on the 9999 port. The discovered devices are available for configuration in the web-browser. 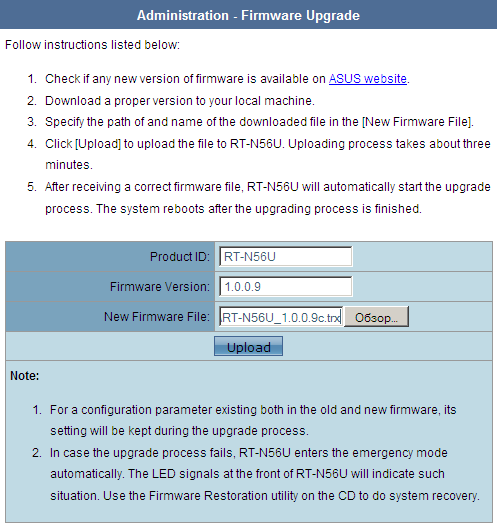 Firmware Restoration has already been discussed above in the section devoted to firmware upgrade. 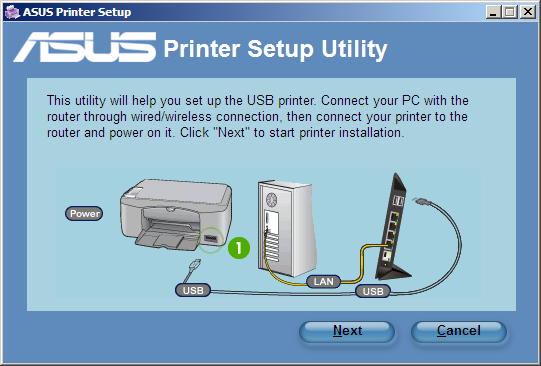 ASUS RT-N56U has two USB 2.0 ports to which one can connect external drives or printers. A connected hard-drive or a flash-card can be used for storing data downloaded from the net. Downloads are managed with the help of the Download Master that allows downloading via HTTP, FTP and BT. Downloads are added very easily: you only have to choose a link to the required file or a torrent-file. Also we decided to connect our ancient Epson Stylus Color 880 ink-jet color printer to RT-N56U. The printer was successfully detected, of which we were informed in the router web-interface. 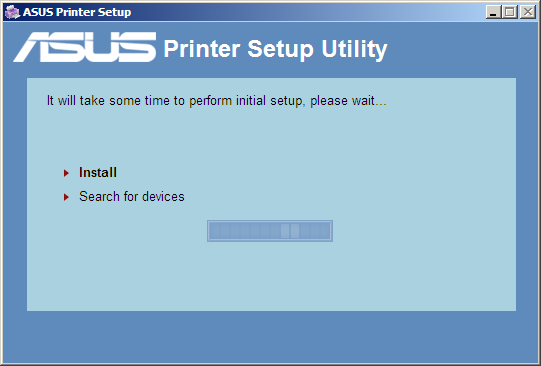 Now it’s time to start the Printer Setup Utility. 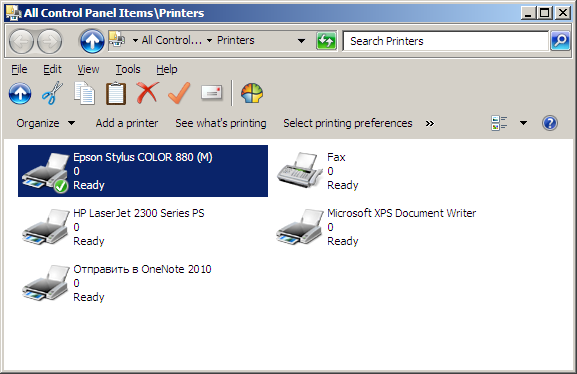 Microsoft Windows 7 x64 SP1 Rus operating system automatically found a driver for the Epson Stylus Color 880 printer and installed it. The whole installation process took no more than two minutes. 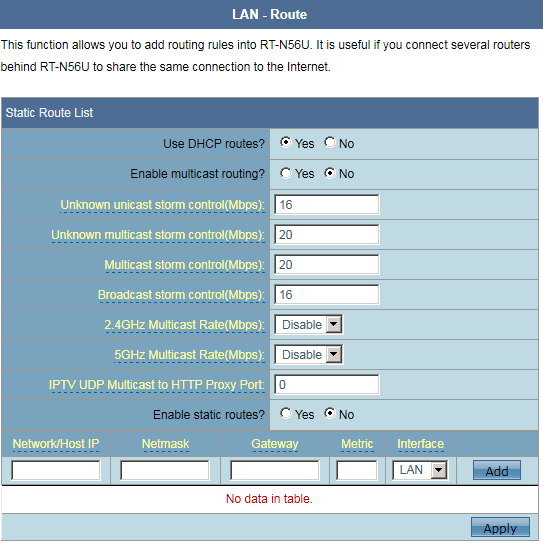 Among the utilities there are some that simplify the process of router configuration for working with a specific provider and that of initial configuration of a wireless connection. 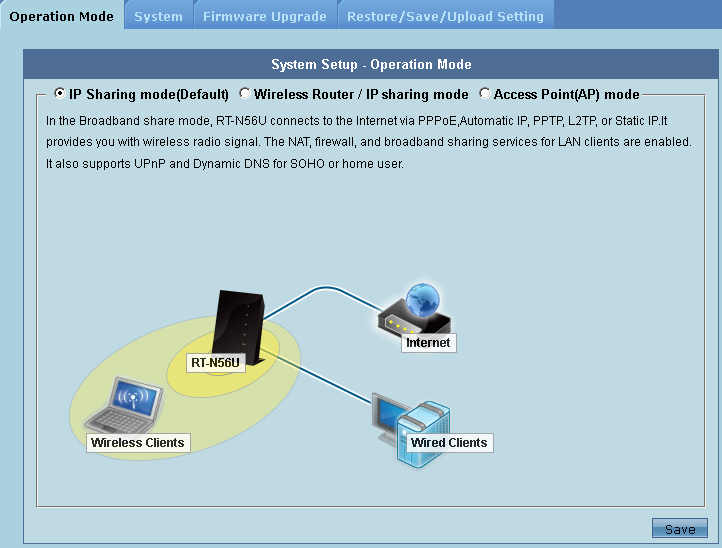 For this, you can use Router Setup Wizard and WPS Wizard, respectively. Router Setup Wizard detects a connected router and open its web-interface with Quick Internet Setup Wizard already running. 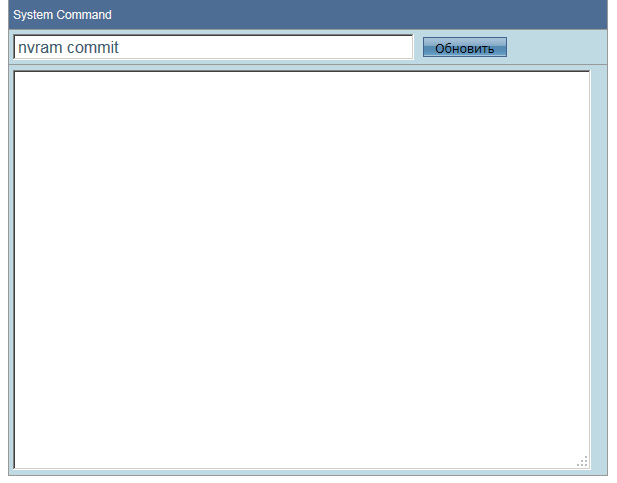 Now let’s see what features are available to the administrator in the command line interface. By default ASUS RT-N56U can be accessed via the Telnet protocol. The same account data are used for authentication as in the web-interface. Here it should be mentioned that for new account data to take effect in the web-interface (when the password is changed) you only have to exit it and enter again. 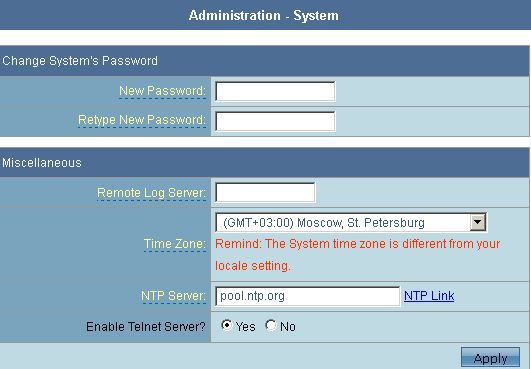 However, for the same thing to happen in Telnet access, the device has to be restarted. Telnet access to the device can be disabled, for which there’s an option “Enable Telnet Server?” on the System tab in the Administration menu. If the firmware version used lacks the option “Enable Telnet Server?”, then the Telnet server can be enabled on the Main_AdmStatus_Content.asp page known to us from ASUS previous wireless equipment. There you have to enter the commands listed below. Now you only have to reboot the router and connect to it. After entering correct account data the user gets to the operating system (Linux 2.6.21) command line with a preinstalled BusyBox 1.12.1 library. From now on all unnecessary spaces have been deleted. With the help of the ps command let’s see what processes are running. Let’s see what files are in the /bin, /sbin, /usr/bin and /usr/sbin catalogues. The vi text editor allows the administrator to create, look through and edit text files right on the router. The top utility will display information about current work of the running processes. We found an interesting cpubench command that allows running tests of the device CPU and memory performance. Also, in the /sbin catalogue, there’s a cpu utility that allows displaying the CPU load in percent (the same results can be obtained from the /proc/uptime and /proc/loadavg files). Now let’s have a look at the /proc catalogue and see what files are located here and find out the operating system uptime, its average load, receive information about the CPU and the amount of RAM. One can find out the list of supported file systems and types of encryption from the /proc/filesystems and /proc/crypto files. 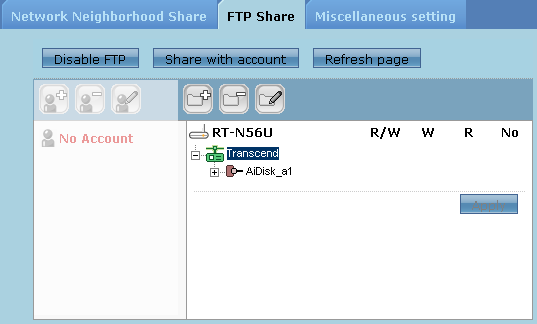 If you have to look into the contents of flash-drives connected to RT-N56U, you can do it in the /shares catalogue subdirectories. In the /shares catalogue there’s a peculiar redirect_rules file responsible for redirecting incoming connections. For instance, from it, it follows that the built-in server listens not on the 80 TCP-port but on 18017 where data are redirected automatically. You can make sure of this fact by calling netstat showing the ports waiting for connection. Naturally, we couldn’t but pay attention to the nvram utility that allows looking through and changing the router’s important parameters. 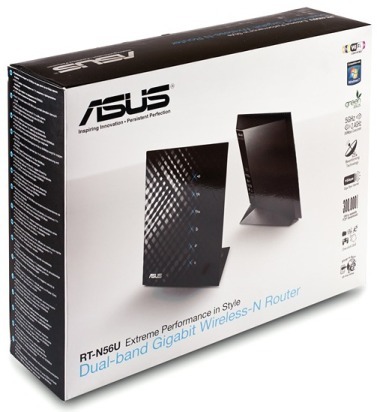 We have already fully described its work in the article devoted to the ASUS RT-N16 wireless router. Look at value of the machine_name parameter! We’d also like to tell you about the fact that the ledon and ledoff in the /sbin catalogue are responsible for turning on and off the led power indicator. This fact is absolutely useless but it’s fun to know anyway. Here the brief review of the command line interface is over. The first test we ran was determining the device booting time. ASUS RT-N56U boots in 37 seconds, which seems to be a good result. We also measured the device surface temperature under moderate load. It was 38.6°С. Then we decided to test the router against network attacks. We deliberately started all available services and ran the test from the LAN-segment to maximize the number of detected services. Scanning was performed with the help of a Positive Technologies XSpider 7.7 (Demo build 3100) utility. Altogether we discovered 15 open ports: TCP-21 (FTP), TCP-23 (Telnet), UDP-53 (DNS), TCP-80 (HTTP), UDP-137 (NetBIOS Name), TCP-139 (NetBIOS Samba), TCP-445 (NetBIOS DS),TCP-515 (Printer), TCP-3394 (d2k-tapestry2), TCP-3838 (unavailable), TCP-5473 (unknown), TCP-9100 (unavailable), TCP-9998 (unavailable), TCP-18017 (HTTP) and TCP-49153 (HTTP). The most interesting of the detected insecurities are presented below. We don’t think these insecurities to be critical. Now it’s time to measure transmission speeds for which we used a testing stand whose parameters are in the table below. 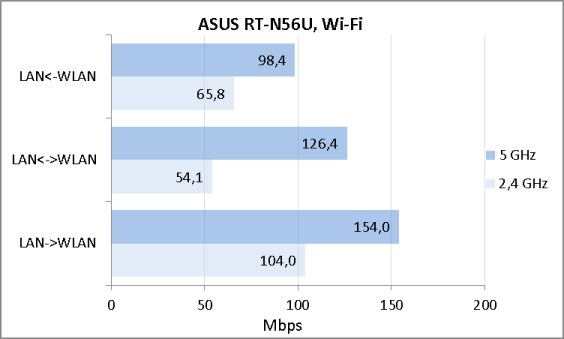 The thing we decided to start with in testing ASUS RT-N56U performance was measuring the rates of wireless transmission between WLAN and LAN segments for both supported frequency ranges: 2.4 GHz and 5 GHz. The results are on the diagram below. We’d like to specifically mention the fact that the tests were run in ordinary home and office environment where there were several wireless networks with low load. For our measurements we took a JPerf 2.0.2 utility. With a unidirectional data stream 25 parallel connections were created; with simultaneous transmission in both directions 15 streams for each direction were created. High transmission speeds in the 5GHz range can be a result of relative purity of this range whereas at 2.4 GHz frequencies there are many sources of electro-magnetic radiation. Switching the firewall and port translation (NAT/PAT) on and off results in considerable changes in transmission rates between LAN and WAN interfaces, however, such change is unique for wireless routers. For example, if the function of translating addresses and ports is turned on, the speed triples though typically the situation should be quite the reverse. The thing is that the wireless router at hand has a hardware NAT/PAT accelerator: the packets of an established session are processed by-passing the cpu, by the routing chip. 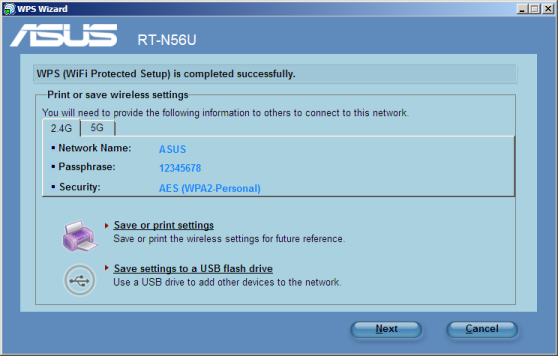 Anyway, ASUS RT-56U is SOHO-segment wireless router and consequently will be mainly used with NAT/PAT turned on. The only thing to be mentioned is that such acceleration can cause problems in the use of IPTV and VPN-tunnels when additional processing by the cpu can be required. The routing speeds via VPN will satisfy most home users whose providers give access to the global net using PPTP as these days Fast Ethernet is normally used for connection and RT-N56U routes data through the tunnel at the medium speed. Naturally, we decided to check the data transmission speed directly between our test notebooks and the PC. It turned out that the obtained results were caused by the limitations of the testing stand, but not by RT-N56U, i.e. the users will be able to get higher routing speeds using NAT. We also didn’t forget about the NetBIOS (Samba) protocol access to data located on a Transcend StoreJet 25M3 disc connected via USB. For measurements we took a robocopy utility which is a part of Windows 7. We created two sets of data identical to those used by the Intel NASPT utility in the FileCopyFromNAS and DirCopyFromNAS tests. We placed them on a virtual disc in the RAM to exclude our own disc subsystem from the test. Of course, we wish we could use the full potential of the Intel NASPT utility, however, in many tests with the given wireless router it only produced an error. But as RT-N56U is primarily a router and the storage role is secondary, we decided to compromise and step away from traditional tests. 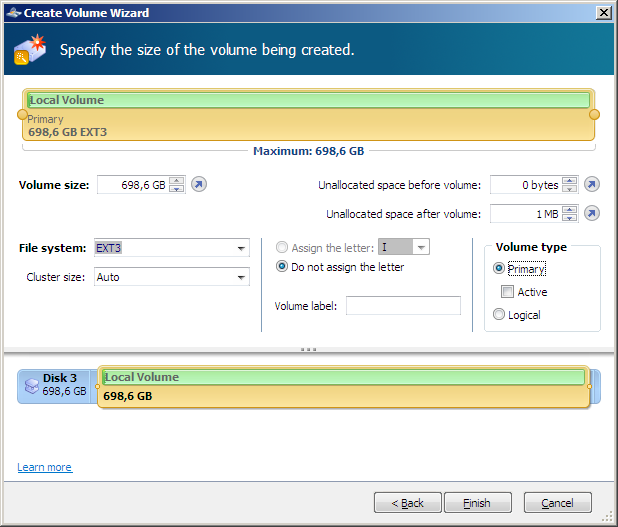 The partitions of the disc connected via USB were formatted in EXT3, NTFS and FAT32. The results of all measurements are on the diagram below. The obtained transmission speeds of big files from/to RT-N56U for EXT3 and NTFS match those of Fast Ethernet and are a wonderful result for SOHO-segment wireless routers, which unfortunately is not the case for access speeds to numerous small files. We also decided to show the reader the diagram of access speeds to the disc itself. 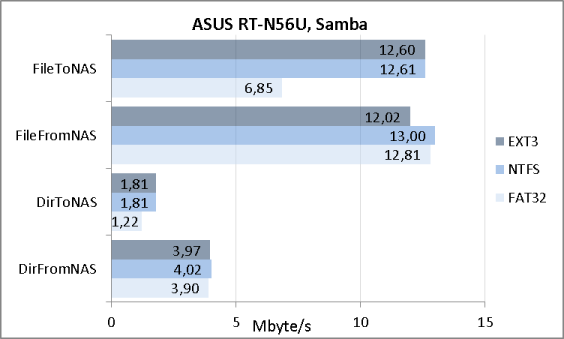 Here we’re through with testing ASUS R-N56U and will make conclusions. 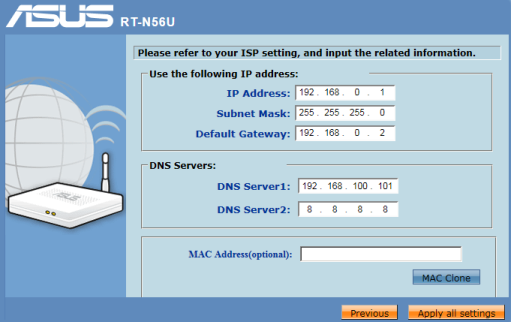 Finally, we have finished testing a wireless router ASUS RT-N56U. There seems to be an unfortunate tendency that we take too long to write reviews of ASUS equipment; however we hope to overcome it with this vendor’s following devices. On the whole we were quite happy with the tested wireless router that showed high data transmission speeds. 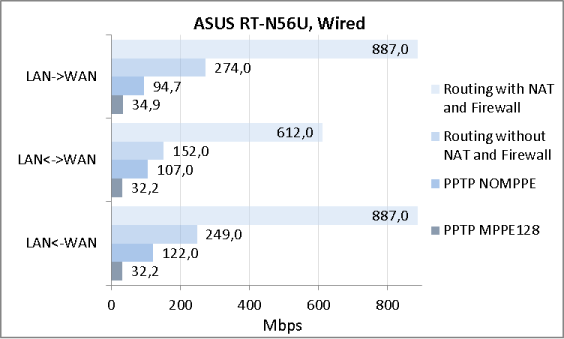 Here are ASUS RT-N56U advantages. High routing and wireless transmission speeds. Simultaneous operation in two wireless ranges (2.4 and 5 GHz). Optimization of wireless coverage for 5 GHz clients. High access speeds to data on a USB-drive. The ability of installing additional extension packages (optware). However we can’t but mention some disadvantages of the device. Unfortunate location of the cords that spoil the overall design. When the article was being written the price for RT-N56U in Moscow online shops was 4800 rubles. The author and editorial team would like to publicly acknowledge the help of Homutov Vladimir for his technical help.